Fifteen years ago, an old climbing bum (who was, consequently, younger than me but climbed all the time) gave me an extra pair of climbing shoes. 5.10s. They were pretty worn in but didn’t fit him quite right anymore. That began the long process of slowly leading me to my current shoes. Those initial shoes lasted me many years, but as my toes began wearing through, I knew it was time for a new pair. In reality, I bounced between pairs that people kept graciously offering me. I went through 3 pairs before buying my first pair while in Seattle, 13 years after I started climbing. But even that La Sportiva pair was a 30-year-old vintage variety that didn’t last too long. 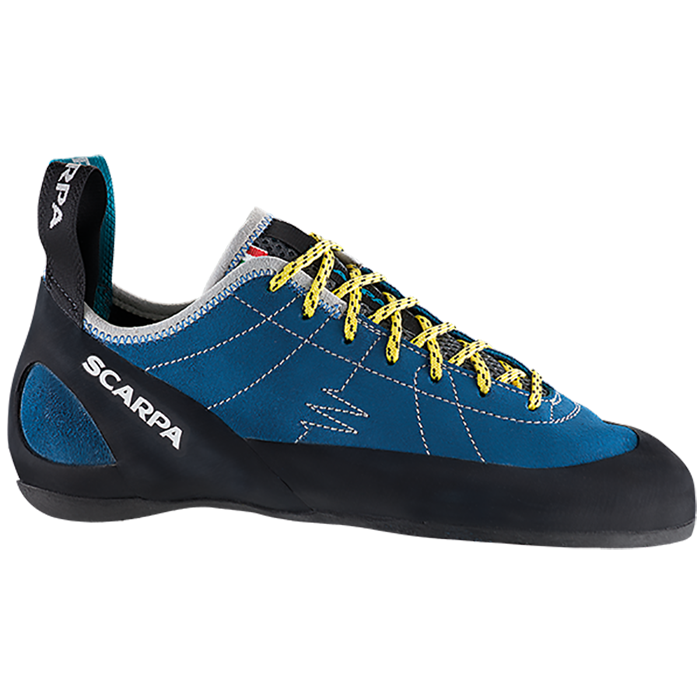 So a couple of months ago, I finally pulled the trigger and actually purchased a new pair of Scarpas. The Helix has been incredible. I shouldn’t be surprised at how enjoyable it is to have a pair of shoes that you can lean into and trust. In some ways, it’s certainly made climbing a whole different sport for me. I’m a fan of comfortability instead of cramming my feet into thimbles, so I bought them a pinch larger than most people in the sport might. But it’s worth it to have a shoe that’s great for sport and bouldering and I can walk around in without wanting to punch the nearest belayer. If you’ve been like me and you’ve been riding along on the coattails of others’ past climbing shoe exploits, do yourself a favor—save up a little money at a time and go in for a new pair that suits you best. You’ll be glad you did.